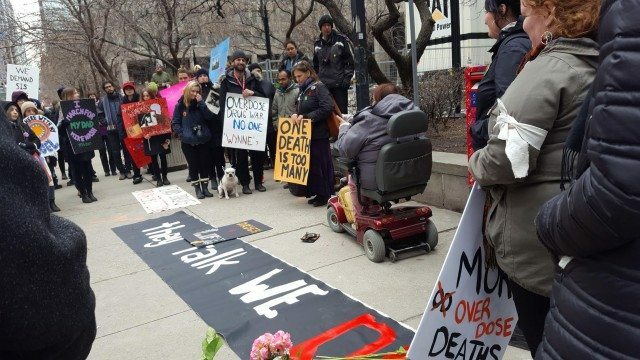 "One person dies every 13 hours here in Ontario." 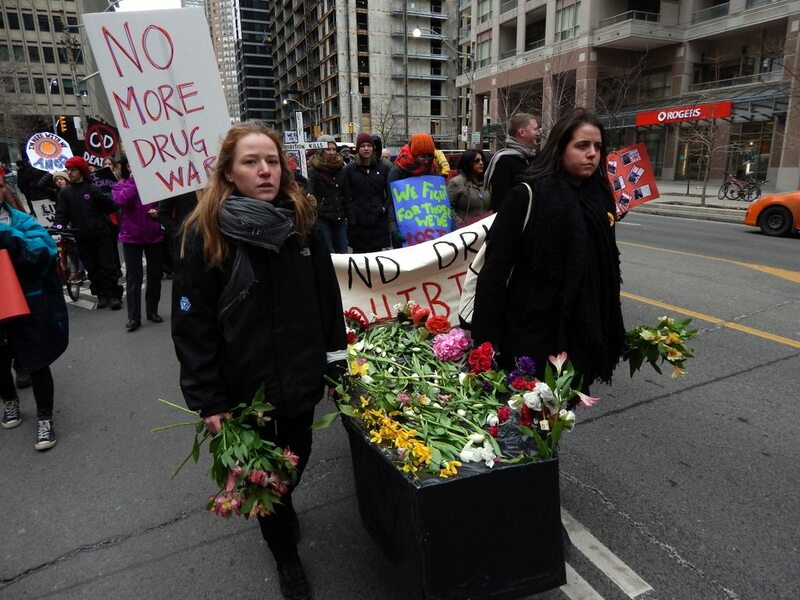 Drug users and their allies marched through Toronto February 21 demanding immediate action from all levels of government to stop more preventable overdose deaths. The protest was part of the National Day of Action on the Overdose Crisis—They Talk, We Die. 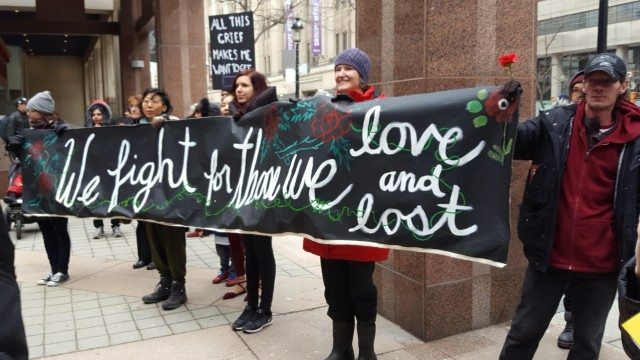 Similar actions were in Vancouver, Victoria, Edmonton, Montreal, Halifax, Nanaimo, and Ottawa. In Toronto, about 200 gathered at Bay and Wellesley, then marched to a memorial at Queen’s Park. 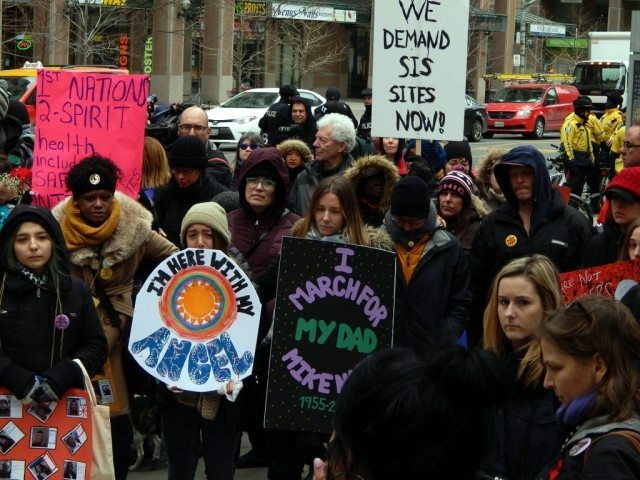 “Canada is in the midst of the worst overdose crisis in our history,” Zoë Dodd, Toronto march organizer and harm reduction worker, states in the news release. Expand access to opioid substitution therapy, which involves supplying drug users with a replacement drug as part of treatment for addiction. Photo courtesy of Lauryn Kronick. 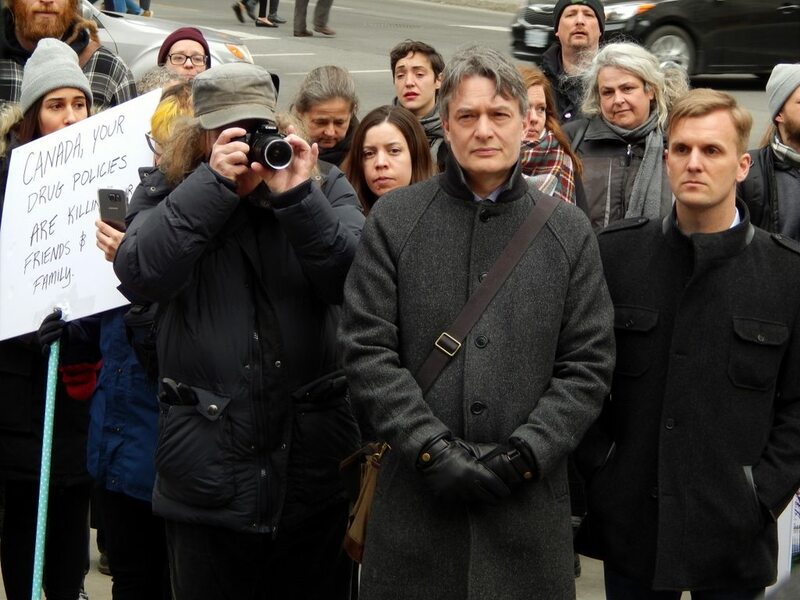 Photo courtesy of John Bonnar.